We are thrilled to announce that Baylor St. Luke’s Medical Center is the first hospital in the Texas Medical Center to offer Stryker’s Mako™ Robotic-Arm Assisted Surgery (Mako) to perform joint replacements. 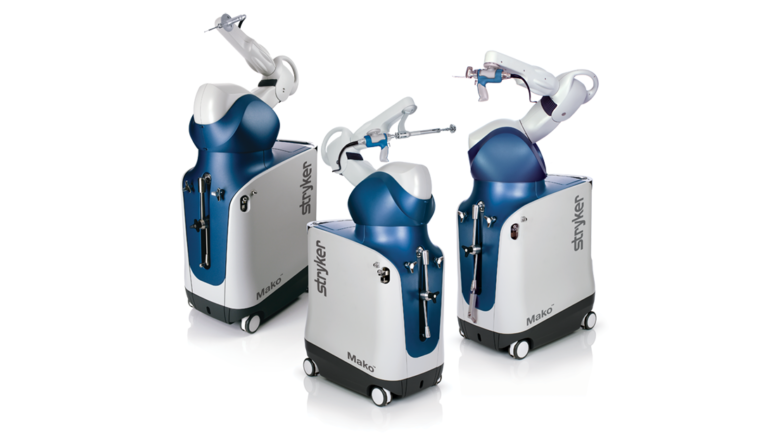 The Mako System utilizes a highly advanced robotic technology that can be used across the joint replacement service line to perform total knee, total hip, and partial knee replacements. Dr. David Edelstein has performed two joint replacement surgeries at Baylor St. Luke’s using the Mako System to date. Mako is the latest advancement in orthopedics and has transformed the way joint replacement surgeries are performed by enabling physicians to be more specific and precise. Through CT-based 3D modeling of bone anatomy, surgeons can use Mako to create a personalized surgical plan and identify the implant size, orientation, and alignment based on each patient’s unique anatomy. The Mako System also enables surgeons to virtually modify the surgical plan intra-operatively and assists the surgeon in executing bone resections. The demand for joint replacements is expected to rise in the next decade. Total knee replacements in the United States are estimated to increase by 673 percent by 2030, while primary total hip replacements are estimated to increase by 174 percent. Yet studies have shown that approximately 30 percent of patients are dissatisfied after conventional surgery. Baylor St. Luke’s latest move to have the Mako System available in our orthopedic division is a direct reflection of our commitment to provide our patients and the communities we serve with outstanding healthcare. Baylor St. Luke’s continually strives to meet the needs of patients through leading-edge technology and innovative research, and we are committed to compassionate quality healthcare that improves and saves lives.